Two of North East England’s most promising boxers have been preparing for separate fights in soaring temperatures at the University of Sunderland. 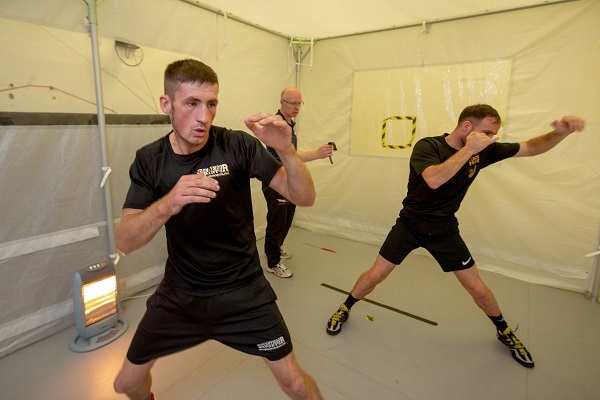 Super-lightweight Darren Surtees, 24, along with Commonwealth title holder Glenn Foot, 30, both sweated it out in the University’s pioneering heat chamber, in preparation for their bouts. The chamber, housed in the University’s multimillion pound Sciences Complex, is designed to give elite athletes a unique training experience by exposure to extreme temperatures. Darren, from Durham, who captured the super-lightweight Northern Area title during his seventh fight, is now preparing to battle it out with Kane Baker in Saudi Arabia on Friday, September 28. The Northern Area light-welterweight champion will be fighting at the World Boxing Super Series final in Jeddah. He will be on the bill for the fight between George Groves and Callum Smith in the WBSS super-middleweight showpiece. In preparation for the high temperatures in the Saudi port city, Darren has been acclimatising to the heat in the University’s climatic chamber as part of his training. Overseeing the training was Dr David Archer, Senior Lecturer in Exercise Physiology and Sports Nutrition. He said: “Temperatures in Jeddah will be in their 40’s during the day and in the 30’s at night, so it’s essential Darren’s body is suitably acclimatised to this. “We exposed Darren to the higher temperatures over the period of a week, meaning that by the time he flew out to Saudi Arabia, he was, physically, already adjusted. Dr Archer also helped monitor the fighters’ sweat and drink rates, heart rates and hydration rates to help ensure they are adapting in the most efficient way possible. Glenn Foot, from Sunderland, was also in the climatic chamber in preparation for his fight against Robbie Davies Jnr at Newcastle’s Metro Radio Arena on October 13. Glenn, who will be defending his Commonwealth light-welterweight title, was full of praise for the training facilities at the University. He said: “Unlike Darren, I’m not fighting in extreme temperatures but the climatic chamber has been brilliant in giving me the edge to my training that I need. Supporting the boxers has been University of Sunderland graduate Aimee Appleby, a musculoskeletal physiotherapist who runs Reforn-2-Perform clinic in Seaham. 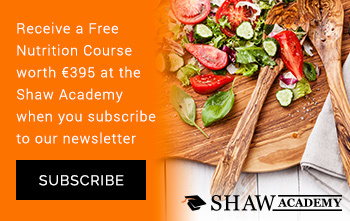 Aimee, who studied Sports Science at the University between 2004 and 2007, said: “I work with the boxers on all areas, but particularly on their lumbar control and lumbar range of motion. David Binns, from East Durham Boxing, is a veteran coach who has been looking after both fighters. David said: “Darren has been with me since he was just 13 years old. I’ve watched him come through the amateur ranks before turning professional just a couple of years ago.